Astronomy for kids is part of the primary school science National Curriculum so give them a ‘head start’ with our Solar System personalised CD by Barafundle! 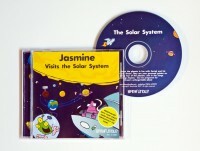 To learn about the planets in our solar system your child goes on an exciting adventure visiting each planet in turn. Learning about the planets is fun when you’re taken on a journey in an alien spaceship! 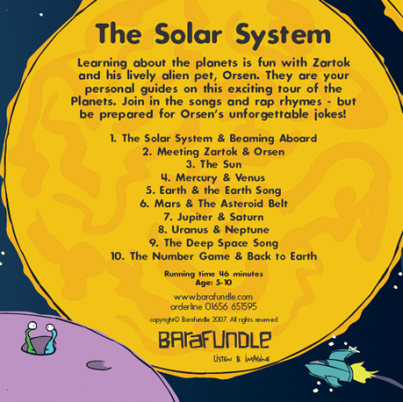 Your child’s CD companions – Zartok and his pet alien Orsen – make astronomy for kids fun with their jokes, songs and rap rhymes!